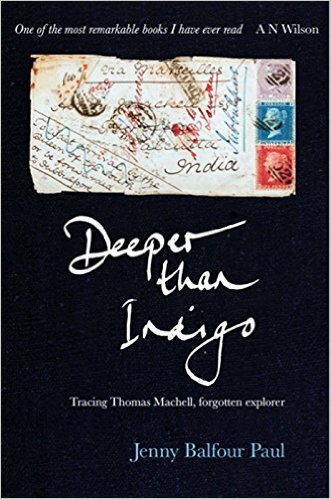 Deeper than Indigo by Jenny Balfour Paul, is an incredible account of the life of the forgotten explorer Thomas Machell. What we have here is a unique memoir, travelogue and in no great part an amazing detective story trying to discover the missing years of the explorer. Thomas Machell was born in 1824 to a large family and it was clear from as early as 12 he had that ‘explorer’ in him as he tried to set off on an adventure after climbing out of his bedroom window with his younger brother. They got as far as Brighton before being returned to their parent’s home. Not deterred a few years later he set sail for China where he witnessed some of the events that shaped China’s history including the treaty of Nanking. While sailing around the Cape Horn he embarked on an affair with the daughter of a cannibal chieftain, some might say brave but in essence that summed up everything about Thomas Machell. Later he would become an Indigo planter in Bengal. This is the passion of the author of Deeper than Indigo. Having already established herself as an expert on the Indigo dye and was drawn to the Victorian explorer and so we have an epic account of Jenny Balfour Paul’s scholarly research into his life, as she was preparing to deliver a speech in 1999 to the Royal Geographical Society about her travels and seeking out the dyes, when she discovered some manuscripts of Thomas Machell. What she was looking at was just one of five volumes of his journals, though Machell said he was going to write seven. Their connection was made and in 2000 along with her husband set off in pursuit of his life, his travels and wanting to know more about the forgotten explorer. The author describes here fascination with Thomas Machell as his ‘besotted admirer’. Through her journeys seeking to discover more about his life and the ‘missing years’ would at times be perilous and risky at one point surviving being shot at. Not deterred she would follow in his footsteps even after the loss of her husband, she uses letters and postcards to speak as Machell and sometimes would become him as her ‘obsession’ at times overtook her. The entire account is littered with extraordinary coincidences that connect both the explorer and author that makes this book even more incredible. How she comes by a box of his old papers that fill in the missing years is one classic example of this amazing journey that Jenny undertook. I would go as far to say it was destiny calling for Jenny Balfour Paul. Her relationship with Machell becomes more intimate as you progress through the book. This indeed is a rare thing of beauty that makes Deeper than Indigo a very unique historical account. A book that you will find hard to forget long after you have finished reading. An exceptional account of a forgotten explorer and an author who became him to uncover his past. I congratulate Jenny Balfour Paul on Deeper than Indigo a journey that I so loved reading about that in the end was sad at the turning of the last page and journey’s end. My thanks to Jenny and to Medina Publishing for a copy in return for a review. Jenny Balfour Paul, writer, artist, intrepid traveller and international lecturer, travelled overland to India, returning by sea, before graduating from York University. 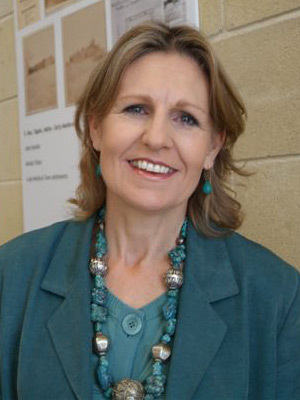 Author of two books on indigo and numerous other writings, she was consultant curator for the Whitworth Art Gallery’s touring exhibition ‘Indigo, a Blue to Dye For’, and consultant for two documentary films. She is an Honorary Research Fellow at Exeter University; a Fellow of London s Royal Geographical Society and Royal Asiatic Society and New York’s Explorers Club; and President of the Association of Weavers, Spinners and Dyers. She is a involved in research into dyes recovered from shipwrecks, is a partner in ‘Silk Road Connect’, an educational initiative launched by cellist Yo Yo Ma’s Silk Road Project in New York in 2009, and promotes revivals of natural dyes worldwide. Posted on October 5, 2015, in Deeper than Indigo, Jenny Balfour Paul, Medina Publishing. Bookmark the permalink. Leave a comment.